As entertaining as the internet can be, who has time to read all of it? Even employing the services of a read-it-later app such as Instapaper or Pocket can make catching up on articles difficult. What you need is a dedicated reading device, free from social media pings, email alerts, and other distractions — and that’s where Amazon’s Kindle comes in. The Kindle comes with its own experimental web browser installed, but it’s not very good. Ideally, you want to be able to save articles on the web and then read them later on your Kindle when your laptop’s closed down and you have time to think. Fortunately, there are plenty ways to accomplish this. If Instapaper is your read-it-later service of choice, then Kindle support is built right in: head to the Instapaper settings page, then follow the instructions under the Kindle heading. You need to add Instapaper as an approved sender of articles, plug your Kindle’s unique address into Instapaper, and you’re set. The options that subsequently appear let you change the frequency with which unread articles appear on your Kindle. If you’re a premium user then you can also send articles from the official bookmarklet or through Instapaper’s mobile apps. 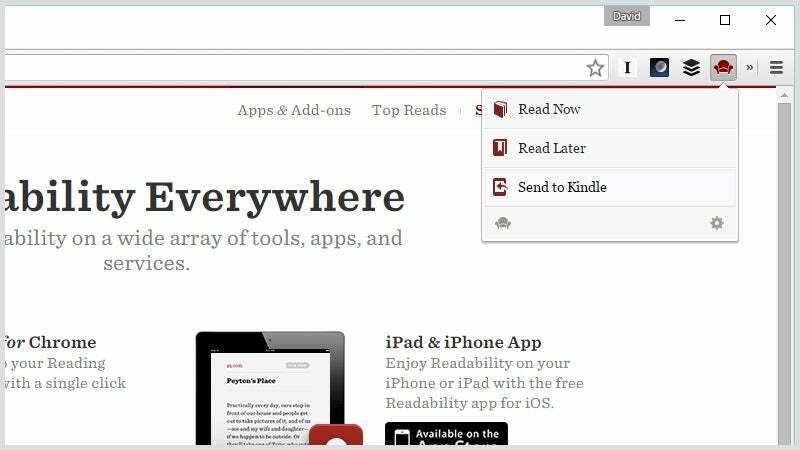 Pocket doesn’t have the same kind of official Kindle support that Instapaper offers, but you can get your saved articles over to your e-reader using a third-party tool. The process is the same: swapping and authorising two custom email addresses between your Kindle and the app in question. 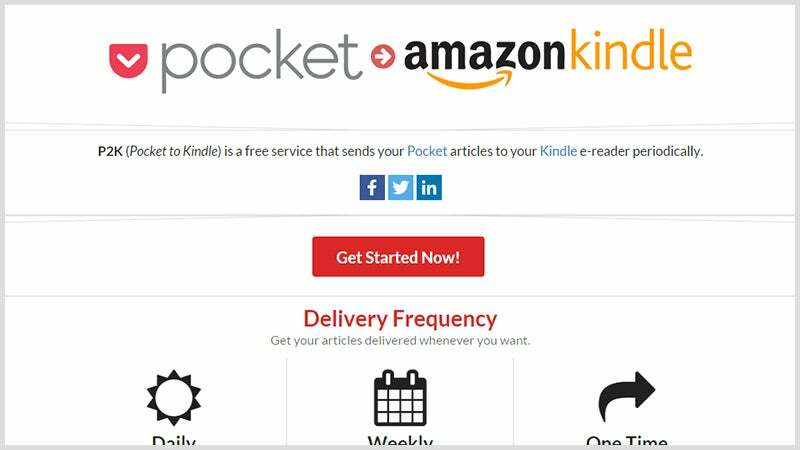 P2K (Pocket to Kindle) is a freemium web service that can do the job for you—you get a choice of delivery options and delivery frequencies if you pay. For those of you using Readability to clean up the clutter of the web, Kindle support is only a couple of clicks away too—if you install the extension for Chrome, then you can send articles to your Kindle straight from the browser or beam them from your saved list of pages inside your Readability account. 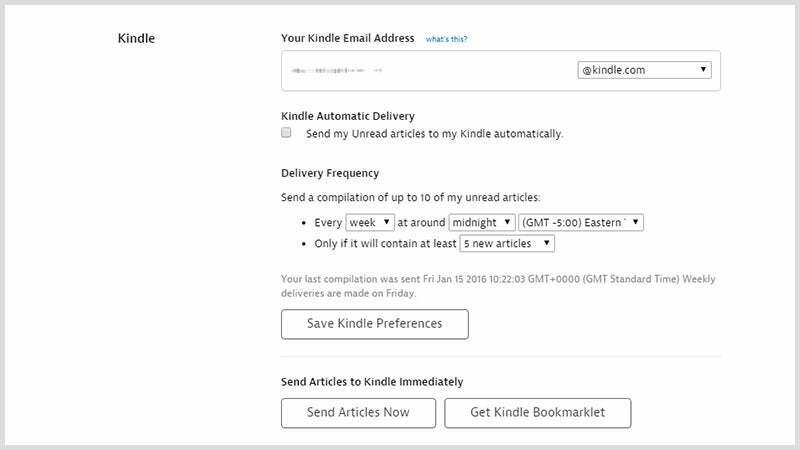 The process is the same as the two previous options: first make sure the Readability email address (kindle@readability.com) is authorised in your Amazon Kindle settings and then you need to tell Readability which email address matches your dedicated e-reader. 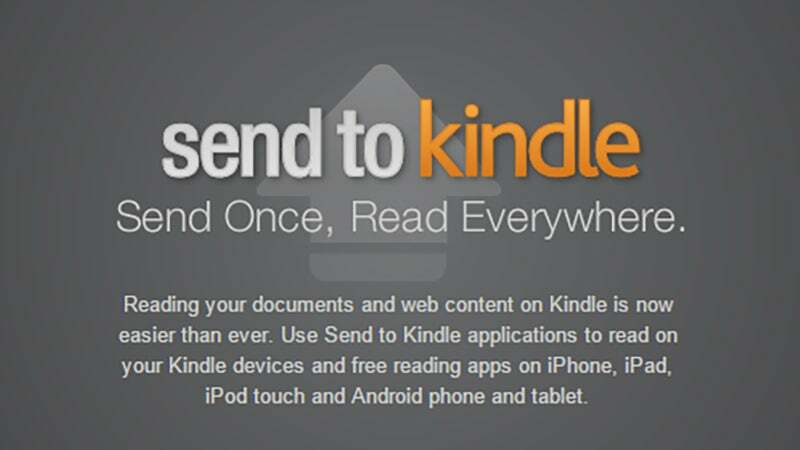 Since Amazon Kindles can accept articles via email, there are actually a whole host of ways to get webpages over to your e-reader. Amazon itself offers official browser extensions and mobile apps, while there are a number of IFTTT recipes to can help you do the same thing automatically. Don’t forget the plethora of Amazon Kindle apps that are available—even if your e-reader isn’t around, you can make use of these apps to catch up on your reading list while you’re out and about.